Front Porch Realty - If you ever use free online photos, here's a great new tool! If you ever use free online photos, here's a great new tool! Sign up here to receive instant emails as soon as a home comes on the market that meets your criteria. 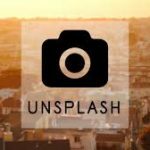 Would you like to add photographic flair for free, use Unsplash! Here at Front Porch Realty we’re always on the lookout for new sources of free photos; we use photos in newsletters, blog posts, social media and presentations. We are happy to find Unsplash and introduce you to a service which offers fantastic, crowd-sourced photos that can be downloaded and used in your own projects. They offer beautiful, free pictures in the categories of Business, Nature, People, Technology, Food, Travel, and so many more! Best of all, Unsplash’s photos don’t look like stock photos. While their inventory isn’t especially deep (yet! ), there are still lots of hight-resolution images with truly eye-catching, creative views. We’re sure that no matter what your picture needs are, you’ll find something to use with this great and free tool!